There are a number of possible changes for Best Actor 1991, although the list we’re given isn’t entirely terrible. I’d like to add some non-English representation here, and my choice is Dominique Pinon in Delicatessen, a movie I wish more people knew about. I might briefly consider Harrison Ford for Regarding Henry, or at least I wouldn’t get upset if someone else suggested it. For Boyz N the Hood, I think either Cuba Gooding, Jr. or Ice Cube (or both) would be worth serious consideration. Kevin Costner manages to break the Costner rule of him being good only in sports movies and westerns with JFK. I didn’t like Naked Lunch, but I appreciate what Peter Weller attempted to do with it. 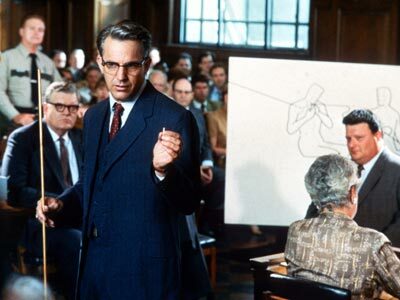 L.A. Story is unfortunately forgotten these days, but Steve Martin is a delight in it, which I can also say about Albert Brooks in Defending Your Life. I know I like Dead Again more than anyone else does, but I’ll stand by talking about Kenneth Branagh. 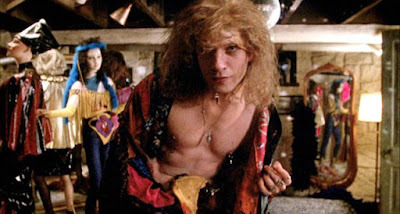 Honestly, though, we didn’t need to leave the actual nominees to find Ted Levine in The Silence of the Lambs and Jeff Bridges in The Fisher King. 5. I didn’t like The Prince of Tides much at all. I found it to be…not exactly condescending or bad as much as it was annoying. 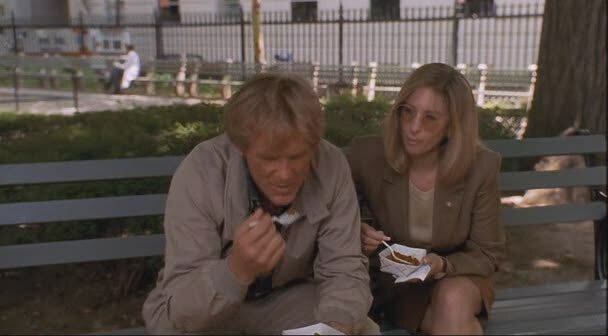 Nick Nolte is perfectly serviceable in the role of Tom Wingo, but he’s not that exceptional. There isn’t anything here that Nolte hasn’t done better elsewhere and nothing here that specifically warrants an Oscar nomination. This doesn’t get into the real problems I had with the film. Nolte honestly wasn’t one of those problems. He just doesn’t seem that engaged or engaging..
4. This is right in that era where Warren Beatty was making a bunch of vanity projects and doing at least some of them pretty well. 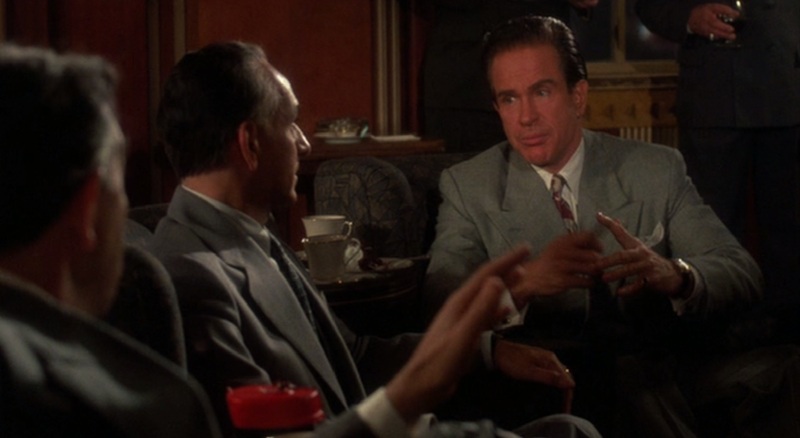 Bugsy isn’t quite that because it’s a Barry Levinson movie, but it has that sort of feel to it. I don’t really have a problem with Beatty here, but I’m not convinced that it’s a great performance. It’s good, but there are plenty more actor performances from 1991 that are more compelling and more interesting. I wouldn’t nominate him for this role, and it feels like the nomination comes mainly from the size and scope of the film. 3. This is not the case with Anthony Hopkins and The Silence of the Lambs. It is an absolutely iconic performance, and one that has really stood the test of time in terms of its influence. So why am I putting Hopkins in third place instead of giving him the win? Because this is not a lead role. Nominate Hopkins for Supporting Actor and he’s got my vote all the way. And yes, he does cast a massive shadow over the film, but there is no good reason a performance that is a mere 16 minutes long should be up for Best Actor. 2. 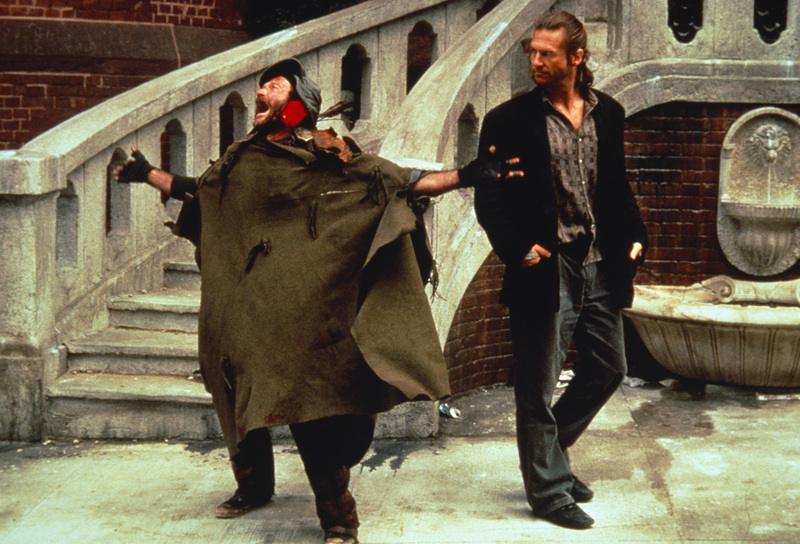 When I reviewed The Fisher King, I said that I think the nominating committee got the right film but the wrong performance. If I was going to nominate someone from this film for this award, I’d give the nomination to Jeff Bridges, who deals with more complex and nuanced issues and has to deal with them more clearly than does Robin Williams. Williams is good in this, and the character seems tailor made for someone of Robin Williams’s particular talents and quirks. I might agree to the nomination, but only if Bridges gets nominated as well. 1. This makes the winner based on the nominations Robert De Niro by default. I don’t have an issue with De Niro’s nomination. His version of Max Cady is animalistic, cunning, and feral, and a completely new and unique cinematic creation. There aren’t a lot of actors who could have pulled off this role with as much style as De Niro did. 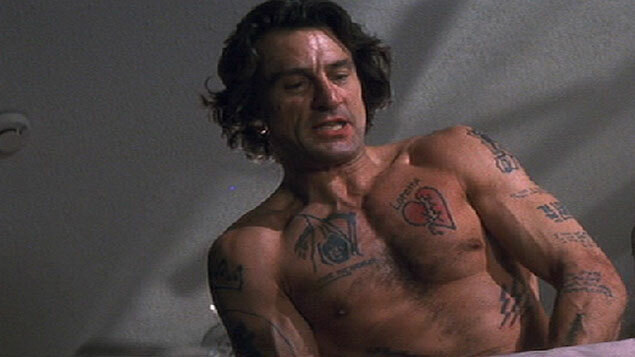 De Niro is by far the best thing in this movie, which often seems a bit misguided in spots. This might be my winner if I was forced to vote on-ballot…but I’m not, of course. Honestly, I’m going to go with a pseudo-cop out here in that I’m not going to specifically pick an actual winner. We can start with Kevin Costner, Jeff Bridges, and Ted Levine, though, who might very well make up a top-three for me from this year. Oscar didn’t do a terrible job of nominating this year, but they didn’t do a very good job, either. Those three movies all feature great male performances, and all three are more compelling than all five of the ones we actually got. 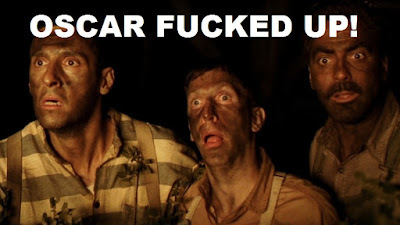 Oscar really should be better at this. Of these nominees I'd agree with you about De Niro and push Hopkins out for the same reason as you. 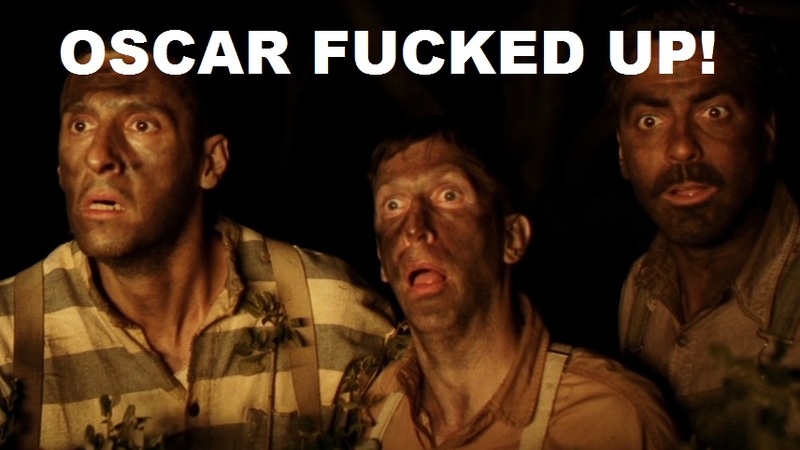 No question he should have won an Oscar this year but it should have been in supporting actor. As to who else could have been in the running I'd put forth both Richard Dreyfuss and Tim Roth for Rosencrantz & Guildenstern Are Dead which didn't open in the States until '91. I thought Kevin Kline was comic gold in Soapdish and River Phoenix excellent in My Own Private Idaho even though I didn't like that film very much. But my choice for winner would be Hugo Weaving as the blind photographer in the Australian drama Proof. Oh by the way I LOVE Dead Again!! I've seen Rosencrantz and Guildenstern, but it didn't really register with me (and I'm more or less bound to what I see are release dates. I don't have time to research every movie's arrival in the U.S.). It's pleasant enough...but certainly Tim Roth and Gary Oldman, no? I'm happy to see that I'm not the only person to love Dead Again. I think it's a dandy movie, and one that is sadly forgotten. Gary Oldman yes...don't know where my head was though Dreyfuss is very enjoyable in the movie. Assuming you were going off the cuff and not looking things up, it's an understandable gaffe. Just throwing a shout out for Steve Martin in L.A. Story. He is, indeed, delightful. It's my wife's favorite movie and it's wonderful, although loses points for a flat and uninterested performance by Martin's then wife, Victoria Tennant. Martin in L.A. Story makes up for a lot of faults. I'll have a twist of lemon. Great call on Hopkins for supporting. Hopkins gets all the attention, but Ted Levine gave a seriously creepy performance in Silence of the Lambs. Jeff Bridges is believable in Fisher King but I feel he gets typecast in these types of roles as the down-on-his-luck drunk. He's so good at it. Val Kilmer was good as Jim Morrison in The Doors (1991), I guess he got snubbed. Val Kilmer is a great call, and a miss on my part. In retrospect, I think I'd like to see him nominated, and I think he might compete for the win.